This last weekend I wanted to create a few more special items to sell at my pop up shop on the Marren Markt in Leens. 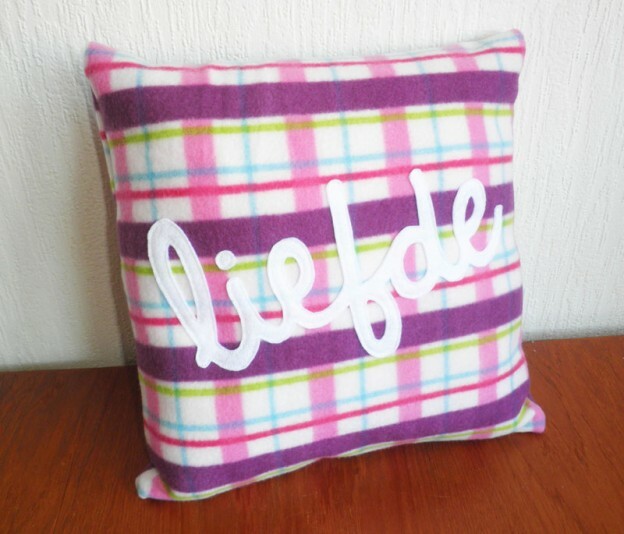 And so this fleece cushion handmade was made! I used a new fleece I had, and added the word “liefde” which in Dutch means, love or sweet. It is always a challenge cutting out some a delicate shape from felt by hand, but I love this new cushion and want to make a few more in English for my Etsy shop too! I also did a lot more sewing this week, trying to make more stock for my pop up shop. Here are some more rainbow buntings (always love making these!) And I have a few other projects to share later in the week. 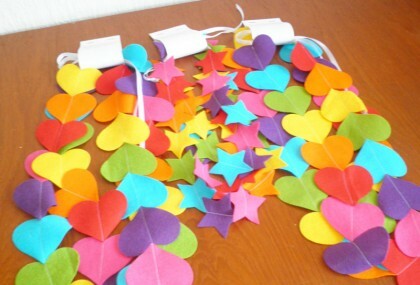 This entry was posted in Cushion, Netherlands on September 4, 2013 by Handmade Cuddles.